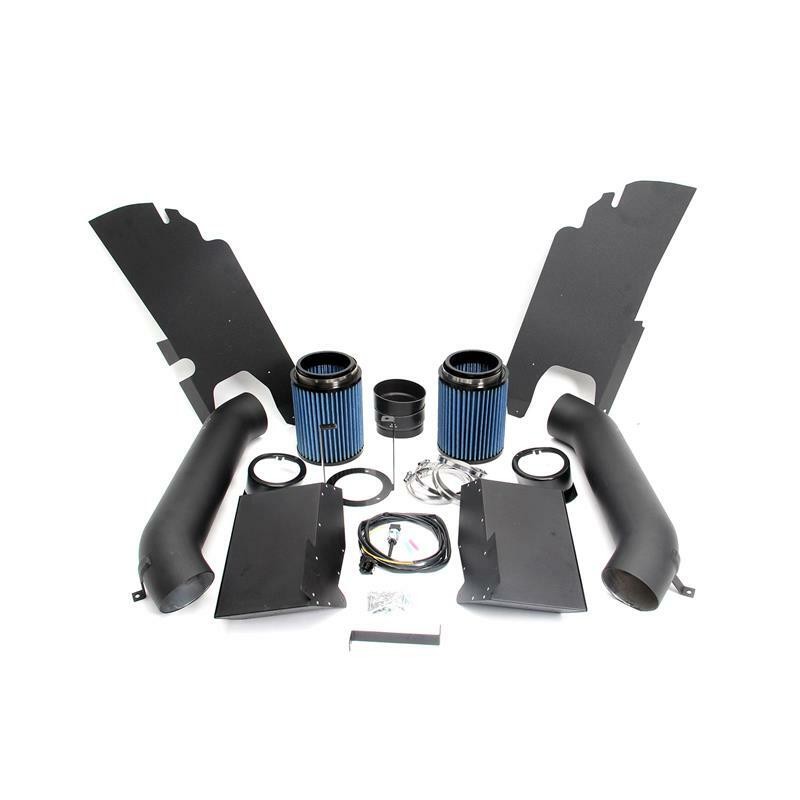 The design goal for the Dinan High Flow Cold Air Intake System was very specific: ensure that the powerful engine is breathing plenty of cool oxygen rich air for maximum performance under varying driving conditions. The system replaces the factory air-boxes with proprietary twin high flow air filters feeding large diameter intake plumbing, carefully designed to minimize air turbulance for maximum intake air flow. The filters are actually relocated outside of the engine compartment, behind the front bumper and below the headlights, insulating the intake from under-hood heat. Additional heat shields are incorporated in order to block the flow of power-robbing hot air passing over the radiator. The system also includes modified fog light trim rings for a ram air effect at speed. Ongoing development of the intake system revealed an interesting and significant discovery. Based upon exhaustive testing, it was determined that the stock location of the air temperature sensor within the Air Mass Meter was providing the engine management system with an artificially high reading, resulting in reduced power output. The culprit was determined to be ‘’heat soaking’’ of the Air Mass Meter when an adequate flow of air was not passing over it, such as in daily stop and go traffic, producing a reading substantially higher than the actual temperature of the air entering the intake system. BMW’s sophisticated engine management system would then automatically back off timing as a result, reducing available power until such time as the air flow cools the Air Mass Meter down. Therefore, the Dinan intake system includes an air temperature sensor reloaction kit as part of the system, providing the engine management system with a more accurate reading and consistent performance.